Lacing is a very common practice for some drugs, particularly drugs like cocaine that are often laced with other substances to bulk up the amount of the original product and gain more profits. Other drugs that are sold by weight may also laced be with other substances in order to add weight or bulk them up to enhance their profitability. In some cases, drugs are laced with another substance to alter the psychoactive effects of the drug (either to enhance or diminish these effects), such as recent cases reported in the media of heroin being laced with the drug fentanyl. Many times, this practice ends up producing a potentially deadly combination of drugs. 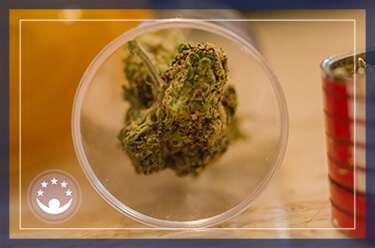 Although marijuana is probably less likely to be intentionally laced with other psychoactive substances than many other illicit drugs, this situation does occur. It is more likely to occur in cases where individuals who are selling a drug illicitly are attempting to bulk up the product and get more profits or when very low quality cannabis is laced with some other drug to enhance its psychoactive effects. Reliable statistics on how much marijuana is laced intentionally are not available, and a good number of the reports of laced marijuana comes from news reports. As cannabis products become legalized for medicinal purposes, and even recreational purposes in some states, there will be specific regulations regarding the quality of the substance that is legally marketed. Thus, buying laced marijuana is far more likely to occur when an individual buys the drug from an illicit source. A recent article on Smithsonian.com reports that the potency of the THC in the marijuana being marketed today is extremely high compared to the marijuana available in the 1970s and 1980s. In addition, attempts to draw out more THC to make more potent marijuana edible products results in the addition of potentially harmful compounds like butane. Moreover, recent tests of soil and substrate used to grow marijuana plants in states where it is legal have found that the plants draw in heavy metals from the soil where they are being grown. Attempts to develop more potent THC cannabis products also result in greater amounts of heavy metals and pesticides ending up in the product. There are some reports of marijuana containing glass. Obviously, this situation can present a significant health hazard for individuals who make edible marijuana products or smoke marijuana. If one suspects there might be glass in marijuana, it can be tested by taking some of the product and rubbing it on a CD. The glass will scratch the CD, whereas unaltered marijuana should not scratch a CD. The Smithsonian.com article also reports that, in many cases, even the legal marijuana being marketed in states like Colorado have high counts of fungi and bacteria that can be potentially dangerous, and that newer and safer standards regarding the content of cannabis products need to be implemented. While these substances are not the result of individuals intentionally lacing the drug, they do indicate that the standards for growing, storing, and marketing marijuana remain relatively poorly defined. PCP is a dangerous dissociative hallucinogenic drug that has been known to be added to marijuana in order to produce a product with stronger or more varied psychoactive effects. Per a number of news stories, this has occurred in situations where individuals were not aware that their cannabis was altered, although it appears that in the majority of cases, the individuals illicitly selling this combination do so without attempting to hide the fact that the marijuana is laced. Marijuana laced with PCP is often sold under a number of different names, such as dusted weed, fry, super weed, wet weed, and other names. PCP added to marijuana can result in a number of potential deleterious effects, including significant issues with hallucinations, delusions, confusion, aggression, suicidal behavior, seizures, respiratory issues, and the potential to develop serious neurological conditions and/or to engage in risky behaviors. There are some reports of marijuana being laced with heroin. Individuals smoking this substance will become extremely lethargic and relaxed, and may develop potentially severe symptoms, such as reduced breathing rates, reduced heart rate, and confusion. They may even become unconscious. Obviously, heroin is a potentially dangerous drug and even a fatal substance when taken in excessive amounts. People who do not use the drug on a regular basis have significantly lower tolerance than individuals who use it regularly. This can increase the potential for overdose or other serious issues. There are some reports that have indicated that marijuana has been laced with embalming fluid (formaldehyde) in an effort to produce specific psychoactive effects, such as making the marijuana seem more potent than it is. Obviously, this can be a potentially dangerous situation and has been known to result in cognitive issues, such as memory loss due to neurological damage and even potentially fatal effects. Lacing marijuana with cocaine (including the crack form of cocaine) is often done to produce a unique set of psychoactive effects that include the stimulant effects of the cocaine being combined with the more sedative effects of marijuana. Often, individuals lace the drug themselves for personal use. Marijuana is not commonly sold already laced with cocaine; however, there are some scattered reports that this has occurred. Individuals smoking marijuana who are unaware that it is laced with cocaine may develop a number of negative emotional reactions due to unexpected effects of taking the drug. In addition, cocaine is a potentially dangerous drug that itself can lead to a number of harmful physical and psychological effects in individuals who use it regularly, such as the development of hallucinations, paranoia, seizures, cardiovascular issues, etc. Mixing marijuana with laundry detergent apparently makes it smell better and also approves its overall appearance, such that it appears to be of a higher quality. Smoking marijuana laced with laundry detergent can make one ill and may result in serious complications. LSD is a powerful hallucinogenic drug that produces very potent effects at very small doses. Lacing marijuana with LSD and then smoking it will probably not result in any serious effects associated with the LSD because heat will destroy it. However, it appears that sometimes individuals dab the end of the marijuana cigarette in a manner where they place LSD on their lips. This would result in the substance being assimilated in one’s system and the development of its powerful hallucinogenic effects. It should be understood that LSD is an extremely potent substance and extremely small amounts of LSD will produce hallucinogenic effects that can last for up to 10-12 hours at a time. Although LSD is not generally considered to have significant serious physical consequences, individuals unaware that they are taking LSD are at a risk for severe and emotionally upsetting “bad trips” that can result in potentially serious consequences due to accidents or poor judgment. There are some cases where marijuana has been laced with the powerful stimulant methamphetamine (crystal meth), which can produce extremely powerful effects, including confusion, hallucinations, delusions, and potential seizures. The club drug ketamine is reported in some sources to be laced with marijuana on occasion. Use of this drug results in a number of stimulant and dissociative effects that can be potentially dangerous for individuals who are not aware that they are ingesting the drug. Ketamine can also result in severe dehydration and overheating. Any number of other psychoactive substances and bulking agents can be added to marijuana. The majority of individuals who use marijuana for medicinal or recreational purposes do not expect to be using marijuana that is laced with some other psychoactive substance. Individuals who regularly engage in the practice of lacing marijuana do so in an attempt to alter or enhance the psychoactive effects of the drug. Obviously, anytime one resorts to mixing various psychoactive substances, the practice can result in a number of diverse effects, many of which can be potentially dangerous. Individuals who are not aware of what they are actually consuming are subject to severe emotional issues as a result of the potential interaction of THC and other substances that may be added to the drug. Never purchase marijuana from someone who will not let the substance be inspected by a potential buyer. Thoroughly inspect products before purchasing them. Do not purchase marijuana that appears or smells odd. 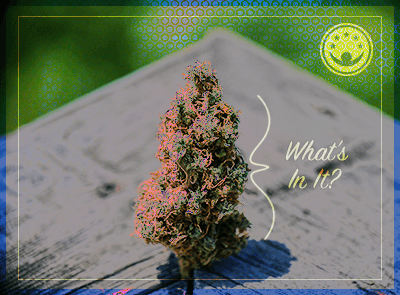 For example, marijuana that smells like fuel may have added substances, such as butane or other chemicals. Do not purchase marijuana that appears to have unusual substances in it or is extremely glossy. Individuals who use marijuana for medicinal purposes should only purchase the product from reputable dealers. Do not be afraid to discard marijuana that is suspect. If possible, have the substance tested.